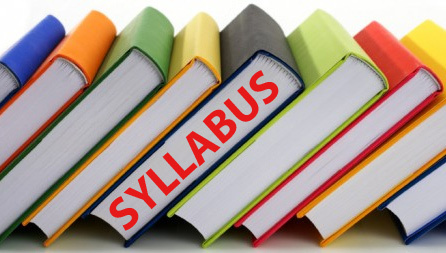 Like many other competitive exams, BITSAT 2019 syllabus  is a reiteration of NCERT syllabus of Class 11 and Class 12. So, students are advised to pay special attention to their school studies and refer to NCERT textbooks as their BITSAT Bible. Check out BITSAT exam pattern here! Download BITSAT 2019 Syllabus for Chemistry here. English Proficiency test is designed to test the knowledge of basic grammar and vocabulary of the candidates as well as their ability to express themselves in real-life situations. They should also be able to read English fast, comprehend it and write effectively. Logical Reasoning test is designed to evaluate the ability of the candidates to use reasoning to solve verbal and non-verbal problems. Candidates should be able to think logically, interpret data correctly, understand relationships, find out missing numbers or words, and apply rules to new and different contexts. Candidates should be able to complete analogies and missing links, follow directions, classify words, and establish sequences. Download BITSAT 2019 Syllabus for English Comprehension & Logical Reasoning here. Download BITSAT 2019 Syllabus for Mathematics here. For complete BITSAT 2019 Syllabus Download in pdf format, click here! Check out BITSAT papers here for free download! Click here to access the BITSAT Revision Notes and Study Material for BITSAT Exam Preparation 2019.